Welcome to the new school year from APIRG and our friends on campus and beyond here in Amiskwaciwâskahikan (Edmonton) on Treaty 6 Territory! 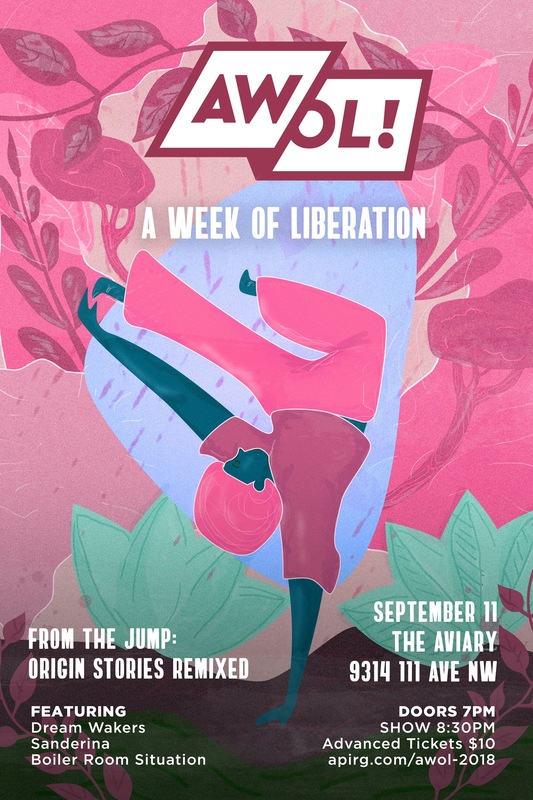 A Week of Liberation (September 10th – 17th, 2018) is all about how we get free and build our power – this week we’re going to dance, laugh, eat, and fight for the world we want. 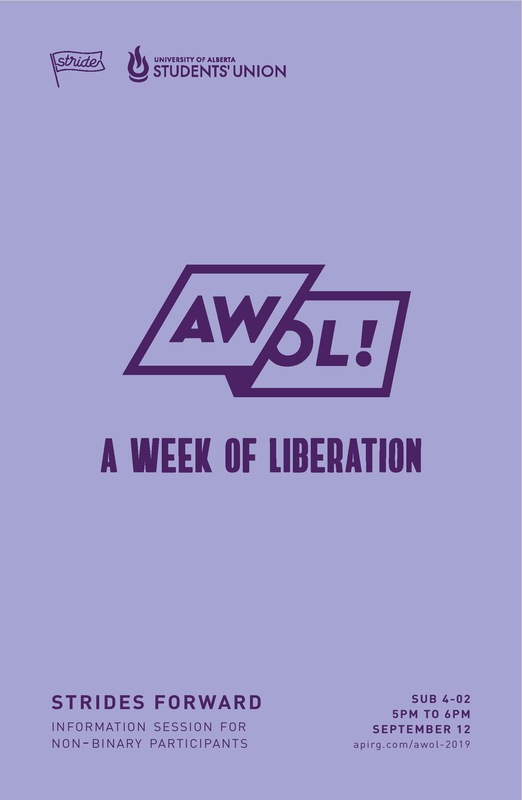 Let’s go AWOL! Welcome to campus! 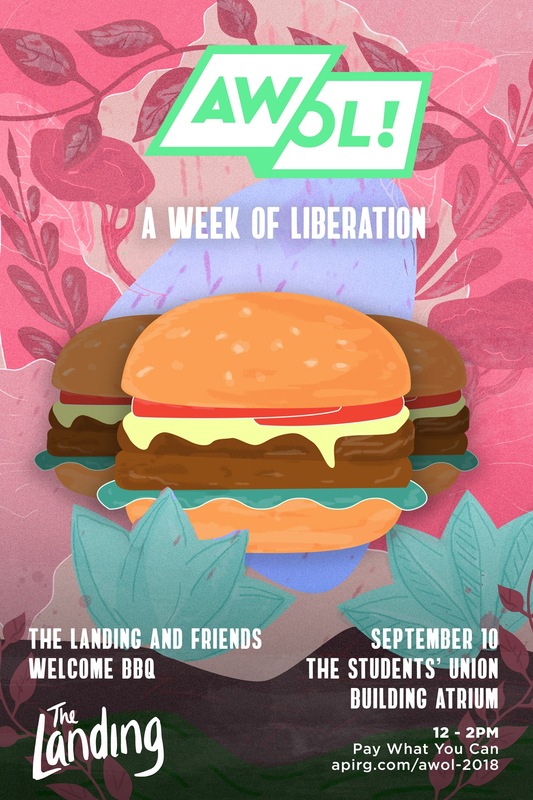 Come eat burgers with new friends and learn about some of the many services and community partners we have available here at the University of Alberta. Our friends at The Landing, a student space for gender and sexual diversity, are hosting. 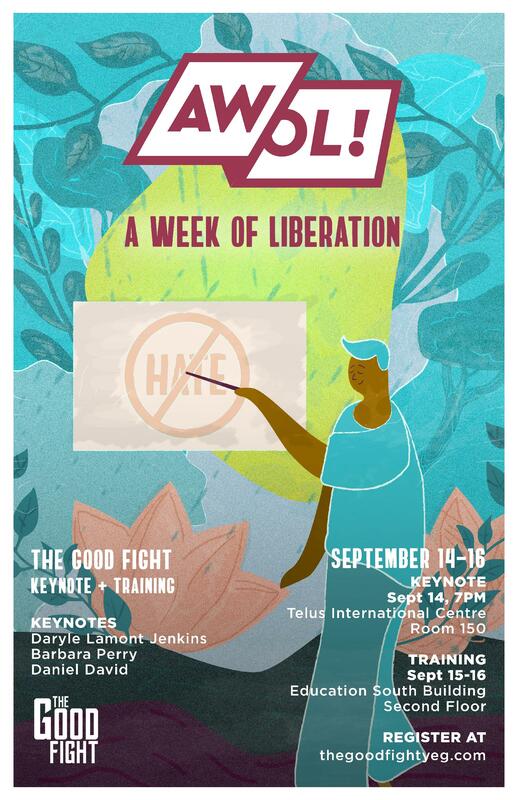 Join us for food, fun, and community building! 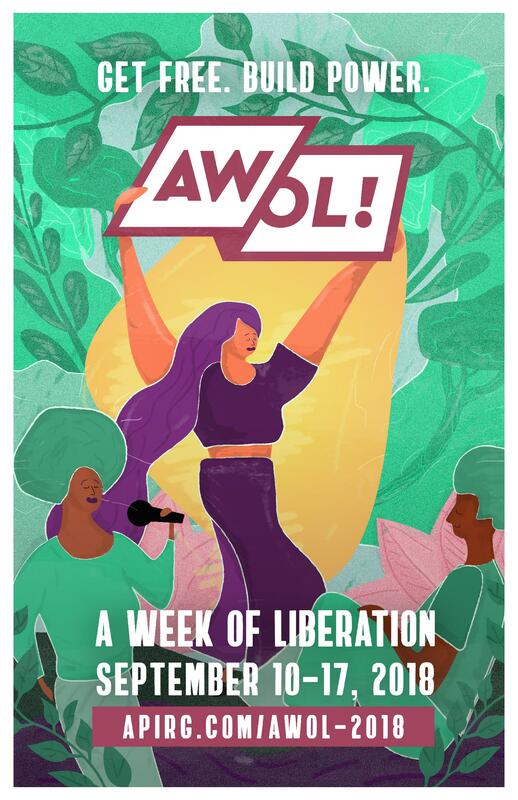 Monday, September 10th, 2018 12pm – 2pm The Students’ Union Building Atrium Pay-what-you-can (Suggested $5 for a meal) Vegan and Vegetarian options will be available (TBC) Accessibility Info: The Atrium patio has two accessible entrances, one indoor and one outdoor. There is an elevator on the accessible main floor of SUB (near the campus food bank). Take the elevator to the lower level of SUB. Exit right out of the elevator and follow down the hallway until you reach the infolink desk. There will be electronic-opening exit doors that lead to SUB atrium patio. Stride is a campaign school aimed at encouraging greater participation/involvement of non-binary individuals and women from all backgrounds – race, ethnicity, Indigeneity, sexuality, and ability – in student governance. The program equips participants with the knowledge, skills, and network to run for a variety of student government positions. Join Stride’s Program Coordinator Juan (he/him/they/them) for a meaningful info-session and discussion for non-binary people interested in joining this year’s cohort. Plus tea! 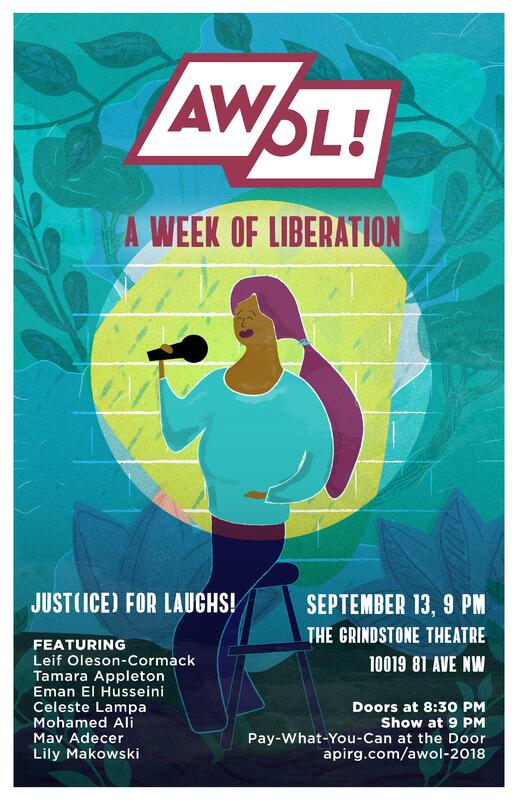 Wednesday, September 12th, 2018 5pm – 6pm University of Alberta Students’ Union Building 402 Accessibility Info: SUB 402 is accessible by two elevators. This floor has two gender-neutral single-stall washrooms.